Enjoy the excitement and bustle of an Asian-style night market with traditional entertainers and aromatic Thai and Burmese food. Discover unique Christmas gifts and pieces for the home. Kids are very welcome, entry is free for under 12s. Pay by Credit/Debit Card or bank transfer. Your wristband (ticket) will be available for collection at the door, upon presentation of your PayPal receipt. Tickets are already selling fast, so pre-purchase is advised. Only limited entry available at the door. 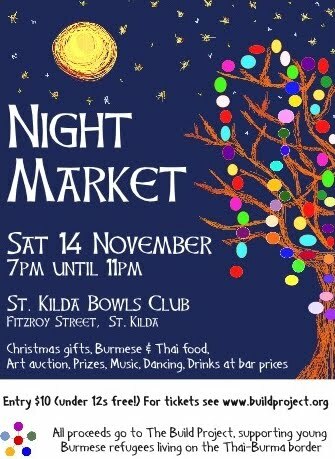 If you wish to support the Build Project but cannot attend the Night Market, please consider making a donation. All proceeds take us closer to the goal of establishing this vital programme for the youth of Mae Sot.